Jerry Carl Wolverton Jr., P.E., F.ASCE, a civil engineer for 33 years and founder and chief executive officer of Wolverton and Associates, has been named a Fellow by the ASCE Board of Direction. Wolverton is responsible for the strategic vision and overall operation of the firm. As its leader, he regularly communicates the corporate viewpoint to key clients and other external constituencies. He conveys mission, culture, and vision to staff and serves as mentor for principals and officers of the company. His commitment is to ensure that each of his clients receive the necessary resources available to yield a successful project through qualitative and quantitative measures. These measures include staffing needs, technology practices, public and staff safety, and quality assurance. As manager of the 97-employee consulting engineering and land surveying firm, his capabilities also consist in service as project manager and rezoning representative on a wide range of project types, from commercial to retail to residential, from conception to construction. Involvement for these projects includes negotiating agreements between municipalities and developers. In 2016, Wolverton was honored with the Engineer of the Year in Private Practice Award by the Georgia Society of Professional Engineers (GSPE), and in 2018 he was elected a Fellow to the American Council of Engineering Companies. His thoughtful oversight has led to numerous technical and business awards for Wolverton Inc., including Best Firm to Work for by Zweig-White, Atlanta’s Best and Brightest Firms to Work For, and over 10 years on the Atlanta Business Chronicle’s Top 25 Engineering Firms, in addition to technical awards from the Georgia Partnership for Technical Quality and the ACEC Engineering Excellence Awards. Further in the past decade, Wolverton employees have won three Young Engineer of the Year Awards from GSPE, more than any other firm. Wolverton’s mentorship and focus on growing young engineers into business leaders and trusted advisors is the key to the firm’s continued presence in this award category. 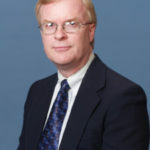 Wolverton started his membership with ASCE at the Student Section of Tennessee Technological University, before joining as a Member of the Nashville Branch from 1985 to 1988 and the Georgia Section from 1988 to the present. 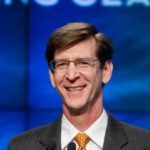 He serves on numerous boards with professional associations and organizations, and has held almost every position on the ACEC Georgia Board between 2006 and 2017, including chairman. 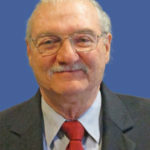 He currently serves on the ACEC Executive Committee and on the ACEC Land Development Coalition. He was previously on the Board of both the Council for Quality Growth and XL Catlin Insurance’s Design Professional Risk Control Group, including as president of this group focused on risk in the AEC industry. In addition to professional leadership, he is involved in organizations that are focused on the community. Among the many are the Council for Quality Growth Board of Directors and the Gwinnett County Chamber of Commerce.